Michael Bang is a Bay Area composer and musician. He received a B.A. in music composition from the University of California, Los Angeles under David Lefkowitz and Mark Carlson, and an M.A. from San Francisco State University under Benjamin Sabey and Richard Festinger. Michael Bang has worked with Dal Niente, Elevate Ensemble, loadbang, Mivos Quartet, and Splinter Reeds. 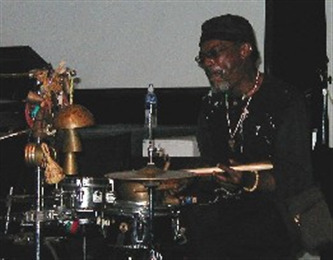 He has taught at San Francisco State University, and has had his music performed at the June in Buffalo Festival. Michael also writes, sings, and plays various instruments for an avant classical folk ensemble, as well as the rock bands The Riot Professor and Veins. Music is all he does, and he wants you to hear it, at a live performance, on recordings, as sheet music, or just as the vibrating air that it is. With a passion for gospel music, Andrew Barnes Jamieson is the music director at Pacific School of Religion, and plays piano for City of Refuge, UCC. With a passion for free improvisation and experimentation, he created the polytonal "Ives Band," and the jazz/gospel-oriented "Trouble Ensemble," and is active in the Bay Area free improvisation community. His 2014 chamber opera Heaven Down Here explores the profound hope and profound danger of both experimentation and faith traditions through the story of Jim Jones' People Temple. His 2015 solo album Heard the Voice is a "dialogue" between experimental sounds and melodies of Spirituals. He is also the cofounder of the All Ears Interfaith Sangha, a community gathering dedicated to sound meditation inspired by Deep Listening practices. Together, they create music that weaves and layers rich keyboard textures. They explore and integrate a variety of sounds that arise out of this unique instrumentation: polyrhythmic minimalism, polytonal harmony, and complex improvisation.